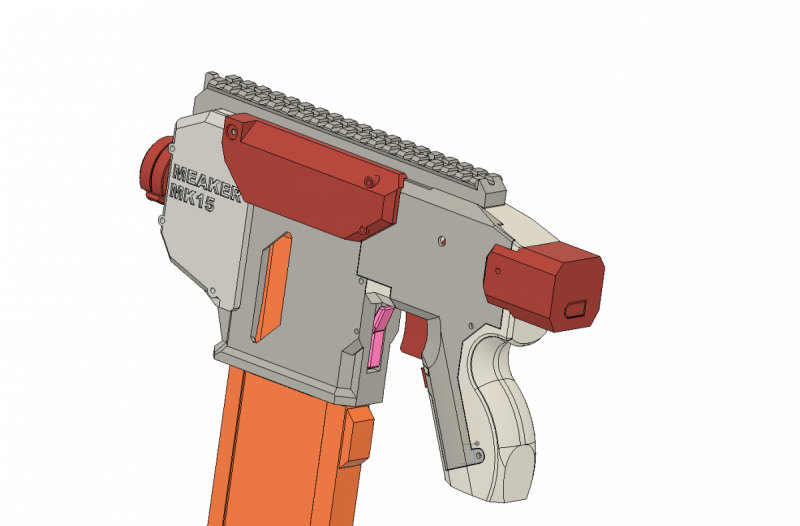 I recently started Nerf modding and I am looking to design a blaster and 3D print the shell and most of the internals. I am planning on making it similar to Project FDL-2 (but with my own twist to the shell) with the use of a select fire mechanism but can't seem to find any programmable control boards/microcontrollers. Does anyone know where I can find these parts to aid in my quest? Link to downloads. Probably drop a writeup here in a few too. So far, /u/MFWIC3D on reddit has told me that an ultrastyfe cage fits with some little modification. We haven't checked any select fire kits on it, but the goal of the project is broad compatibility and functionality akin to the Stryfe so if they don't work with it I'll look into making modifications so that they do. Please do continue on your project if I didn't solve the problem you want solved though, the more good homemade blasters the merrier!